Meet our team of experienced Podiatrists – Linda, Claire, Andrew, Kerrie, Samantha, Ellie and Carmen. All our Podiatrists have many years of experience and are highly considered in their fields. Read below for further information about their areas of expertise and special interest. Podiatrists are university trained and registered with the National Board. Our Coorparoo Podiatry Centre Podiatrists are also accredited with the Australian Podiatry Association. This accreditation requires completion of an additional amount of professional development and maintenance of high standards of practice required by the Australian Podiatry Association. Our team has been working together for many years at Coorparoo Podiatry which helps to find the best solution for your foot pain and care. If you are experiencing problems with your feet but are not sure what to do, our experienced Podiatrists will explain your foot problem and put you at ease. Linda established Coorparoo Podiatry Centre in 1980 following graduation in Podiatry from the Queensland University of Technology. Linda was awarded the Harley Surgical Award for excellence in Podiatry and the LJ Claxton Award for Orthotics as a student. Linda worked part time at Princess Alexandra Hospital while establishing Coorparoo Podiatry Centre. She also lectured at QUT in Podiatry for five years during which she was involved in Sports Podiatry Research. Her subject areas included Orthotic Construction and Design, Biomechanics and Podiatric medicine (Theory of Podiatry). She was the President of the Australian Podiatry Association (Qld) and State representative on the Australian Podiatry Council. Linda was contracted as the inaugural Consultant Podiatry Advisor to the Department of Veterans’ Affairs in Queensland. Linda is an accredited member of the Australian Podiatry Association, Australian Association of Podiatric Sports Medicine (AAPSM) and a member of Sports Medicine Australia (SMA). 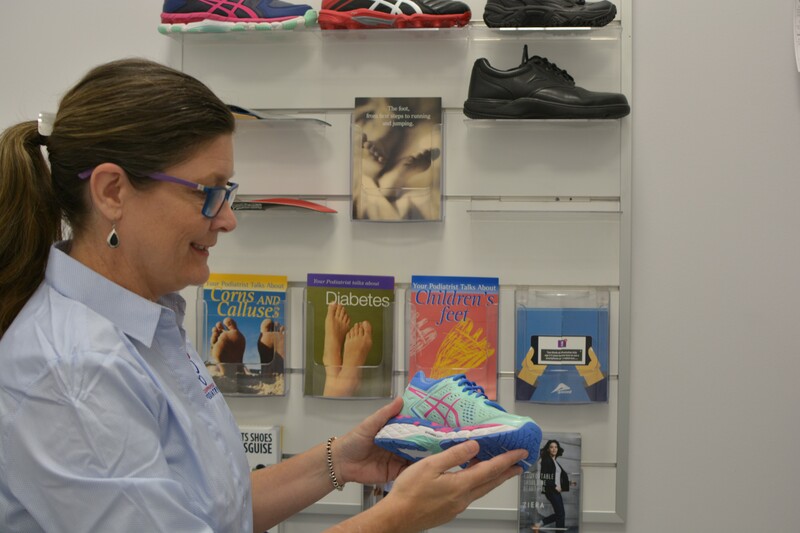 Linda has regularly given lectures to various groups including Sports Medicine Australia, Sports Trainers, Sports Physiotherapy Masters students, footwear fitters and community groups. When not working Linda enjoys travelling, gardening and keeping in touch with her three adult children. Claire joined this practice in 2003. Claire worked in Hong Kong, rural NSW and Canberra from 1996 until 2002 where she gained extensive experience in Biomechanics, Paediatrics and Sports Podiatry. Claire has been consultant Podiatrist to many sports teams including the Canberra Raiders and the ACT Brumbies as well as athletes from the Academy of Sport and the Australian Institute of Sport. Claire has a special interest in football, dance and podopaediatrics (podiatry care for children). Claire is an accredited member of the Australian Podiatry Association, Australian Association of Podiatric Sports Medicine (AAPSM) and a member of Sports Medicine Australia (SMA). Andrew joined Coorparoo Podiatry Centre in 2007 after completing his degree from QUT. Andrew comes from a background in town planning where he finished his first degree. He realised that he preferred to help people rather than buildings and completed his second degree in Podiatry. Andrew has special interests in general podiatry, sports injuries, diabetes and ingrown nail surgery. Andrew is an active runner and touch football player. He is an accredited member of the Australian Podiatry Association. Kerrie graduated from QUT Podiatry in 1991 to work in Community Health Devonport Tasmania. She returned to Brisbane to complete her Post Graduate Diploma in Health Science in Podiatry and joined this practice in 1994 working part time for 5 years whilst tutoring at QUT Podiatry. Kerrie established a private practice at Sunnybank Hills which she managed for 14 years. She has 3 children and to balance family life she decided to change roles from business owner to team member joining this practice again in 2014. Kerrie has a broad experience in Podiatry care and is interested in chronic disease management. 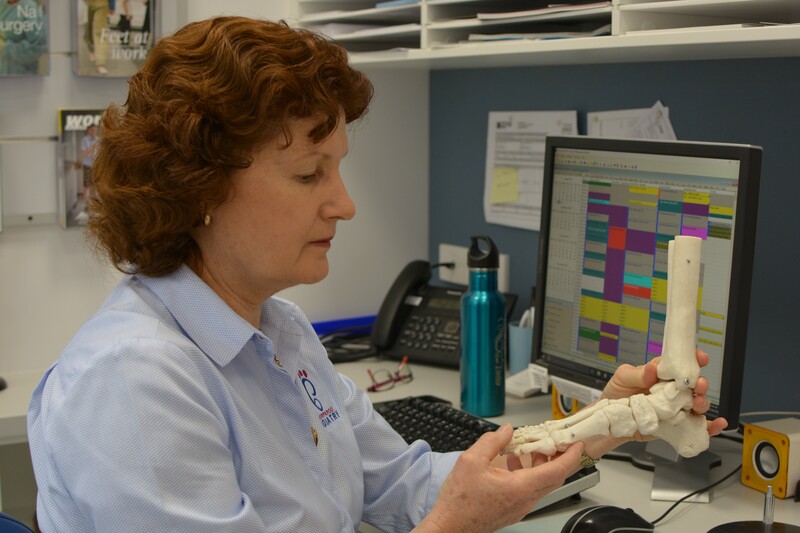 She maintains her professional development standards through continuing education and is an accredited member of the Australian Podiatry Association. Ellie graduated from QUT Podiatry with First Class Honours in 2009. 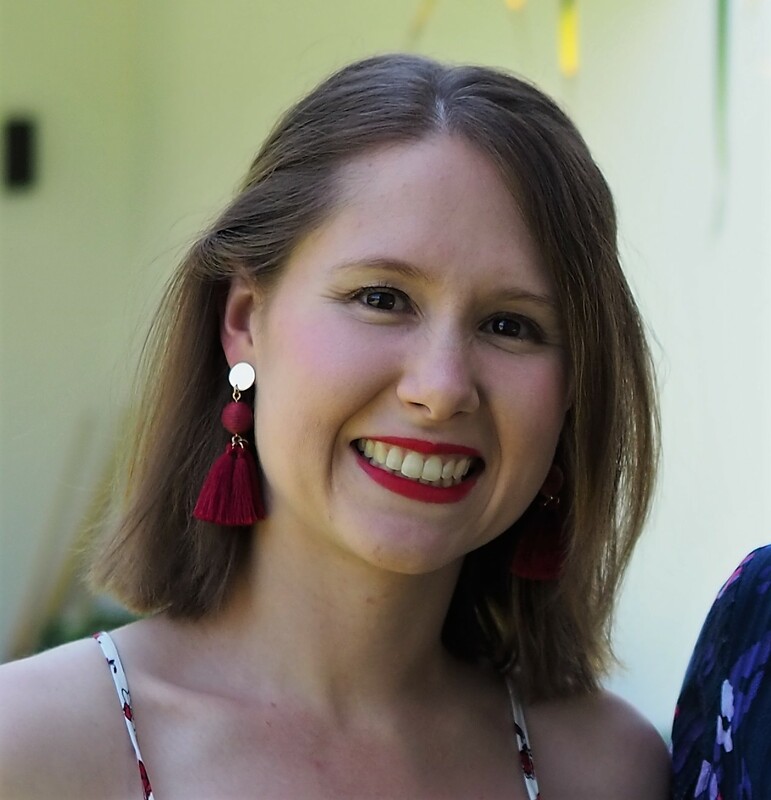 Ellie has 10 years experience in Clinical Podiatry in the bayside of Brisbane including management of high risk diabetic feet, heel pain, biomechanics, sports injuries and general care. Ellie has been around “foot problems” for years as she is the daughter of Linda Garbett (Senior Consultant Podiatrist at Coorparoo Podiatry). Ellie has joined this practice after being on maternity leave with her daughter. Ellie has a keen interest in health and fitness, travel and cooking when not busy with her young family. Carmen joined this practice in 2006. She has 30 years clinical experience in Podiatry both in Australia and the UK. She has a special interest in general care and foot mobilisation techniques to help with musculoskeletal conditions which can impact on a person’s mobility and movement because of foot pain. Carmen has also maintained her accreditation with the Australian Podiatry Association.